You’ve probably experienced these difficulties if you are now reading this article. Are we right? Moreover, you should understand that writing in universities is completely different from that in high schools. As you advance your studies, the conditions get complicated and assignments get more challenging. The major reason why most students find assignments challenging is simply the fear of the unknown. If you feed your brain with negative feelings about college assignments, then the same will be reciprocated in the assignment paper. To write a good assignment, you need to believe in yourself, and read this article at the end of which you’ll learn the effective tips on how to write a good assignment effortlessly. Decided to plunge into the academic world? At LinkedIn.com, you’ll observe ‘7 lies the academic world keeps telling you’. The fact that you’ll have to write a lot according to the precise requirements is absolutely true. Various essays, reports, case studies, reviews, and many other projects are written by every student. Otherwise, there are fewer chances to graduate from university. The majority of students fail since they go directly to writing the assignment without some proper preparation for the writing process. As a rule, this is always a recipe for failure in the academic world. Don’t expect such bad results? Then, take into consideration our following tips at each writing stage. Use time management skills. 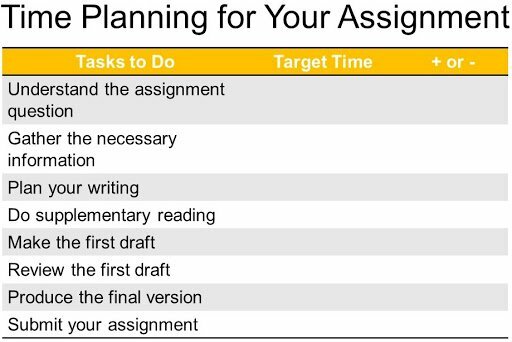 The first thing that you should do is to plan your time needed for assignment writing. This time shouldn’t include any other activities – being on the phone, eating or any other things you like to do. There are numerous distractions, for example, games, TV shows, and social media sites. If you wait until the last minute to do the assignment, then spend this time watching a YouTube channel, the chances that you will deliver the high-quality work are minimal. You will be more focused on beating the deadline rather than writing a good assignment. Plan your time according to our professional approach. Analyze the assignment question. Before you start writing anything, you have to understand the question that you need to answer. Only after the full understanding of the topic question, you can go ahead to write a good essay. Read the assignment topic carefully word by word. If there is any word that you are not familiar with, find its meaning in the Oxford Dictionary or any other definition dictionary you wish. Even native English speakers can apply this way of clarifying words/phrases, not to speak about international ones who have just started learning English. If you can’t do it yourself, ask your friends or the lecturer for clarification. Imagine you need to write a critical review on the scholar article. Be on the lookout for limiting words like ‘analyze the scope of the issue’, ‘evaluate the merits of the text’, ‘judge the arguments’, etc. Pay attention to everything that makes the assignment more specific. Understand how marks are awarded. Most students don’t check the guide on how marks will be awarded for writing an essay or research paper. Good students go through the essay assessment checklist to determine what the examiner is looking for when assessing the assignment. This helps students to focus on the relevant fields that will win them marks. Look at the typical essay assessment template and work on those points that are weak in your essays. Look for reliable information. After understanding the topic and how marks are awarded, start hunting for information that will be useful for your assignment. You can get some credible information either from books or the Internet. Do you like to do everything digitally? No time to visit the university library? Great! You can find some reliable data if you follow the following guidelines. Draft an outline. Even a rough outline of your assignment shows how to structure it in a logical way. This structure ensures that you keep on the right track and don’t go off topic. If you don’t know how to make an outline for your assignments look for a relevant outline sample. In fact, it is possible to use any sticky notes at hand or draw diagrams for a quick effect. Read 5 studies about visual information processing to know what will work best for you. If you are well-prepared for your assignment, you will find that writing the assignment will be much easier than you could imagine. The following are some of the tips on how to write a good assignment. Introduction. This is the first paragraph of your assignment that gives the examiner a clear picture of whether you know what you are doing or you are just surviving in a college or university. You must know what details help you write a good introduction. Firstly, you are required to discuss the contextual background of the topic. Your arguments should be supported with citations or quotations from credible authors. To show the examiner that you understand the topic question, write down this question using your own words and explain. You should, however, avoid repeating the question word by word (a mistake made by most students). Secondly, you need to state your stand on the topic. Whether you support it or you are against it. The stand you state in the introduction cannot be changed later in the assignment. Thirdly, develop a thesis statement in the last sentence. This is the most important sentence in the assignment. If you get the thesis statement wrong, then, you can fail that particular assignment. Main body. The main part of your assignment should specifically answer the topic question citing some pieces of evidence. There is no limit to how many paragraphs the main body should contain. However, all the paragraphs have the same structure. That is, they should introduce an idea/argument in a topic sentence, provide the evidence to support the idea, then link the idea to the thesis statement. This structure applies to all paragraphs in the main section. Conclusion. This part is a place where you conclude all above-mentioned in your essay based on the evidence you present. No new idea should be presented in the conclusion. You should, however, highlight areas that need further research in the future. Look through the whole paper. When proofreading your work, make sure that you have answered the topic question as it is required by your tutor. Once again, look at the assessment schedule. Don’t shy off from adding a few details, if you feel something is not adding up. Check for grammar and spelling errors. Going through your paper gives you a chance to correct any silly grammar errors and spelling mistakes. Double check the citations. 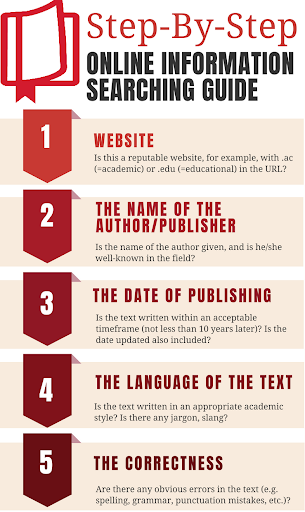 Have you used any citations in your assignment? Now, check if you have cited the sources correctly according to APA, MLA or Harvard guidelines. A wrong citation will deduct your marks. Moreover, you may be accused of plagiarism. Don’t expect to experience it? You’re able to avoid all issues by proofreading your work thoroughly. Now that you know all the effective tips on how to write an assignment, nothing can stop you from getting the good grades. It is worth to put enough time into all the stages – pre-writing, writing, and post-writing. Good luck!